German film units focused almost exclusively on Panzer and Panzer Grenadier/motorized units. . This gives a very false impression of irresistible power and military efficiency. The facts are different. The Panzer and Panzer Grenadier divisions were a small, but critical, part of the German Army in the East (the Ostheer). Most Germans marched and fought on their feet as their fathers and grandfathers had in 1914-18. German casualties were appalling (and Russian casualties even worse; by a factor of about four). Contrary to the generally held belief in German “efficiency” their war against Russia was a shambles. The Germans were grossly inefficient in their production of war material and their logistics were appalling. In 1941 they had over 2000 types of vehicle in service with few sharing common parts. The Russians ran their logistics largely with standardized US vehicles; receiving 51,503 jeeps and 375,883 trucks. Hitler imposed disastrous decisions Reliable, secure, communications enabled him to exercise almost minute by minute control over armies numbering millions. Senior German Army officers were (a) paralysed by his clear track record of success in the conquests of Poland and France. The Commanders and German General Staff had strongly advised against these invasions; the successes had undermined their professional credibility (b) not professionally inclined to disobedience or rebellion (c) aware of the penalties for disloyalty likely to be meted out to themselves and their families by the Nazis (d) aware that their soldiers hero-worshiped Hitler; many if not most had served in the Hitler Youth or the National Labour Service, were Nazi Party Members, had sworn a personal oath of loyalty to Hitler, and would regard any move against Hitler as treason. The whole show was only held together by the qualities of the German soldier and his officer. Some 4 million German soldiers died in the East. Considering the barbarity of the Germans one might be forgiven for thinking that the Russians let them off lightly. At Yalta, Stalin had proposed that all German officers should be summarily executed. Churchill protested vehemently. That the Russians did not execute more Germans post War was probably down to their sensitivity to the Allies reaction. In Jun 41 the German Army fielded 175 infantry divisions, 21 Panzer Divisions and 15 motorised infantry divisions. Two thirds of the infantry that took part in the invasion of Russia marched on foot as had Napoleon’s Armies. Their supplies were carried on horse-drawn wagons and most artillery was horse-drawn too. The Germans used 600,000 horses. On 8 Sep 41, German OKH, at Hitler’s instigation, declared that Soviet prisoners had forfeited all rights. There were already over 2 million Russian prisoners. Some German units disposed of them by machine gunning them. Deprivation of food, disease, cold and inadequate clothing accounted for the remainder. The attack on Moscow, Operation Typhoon, in Oct 41 was spearheaded by 13 Panzer Divisions and 7 motorised divisions. On 28 Nov 41 elements of 7 Panzer Division could see the distant spires of Moscow. The soldiers had no winter clothing and during Dec with daytime temperatures sinking to an average -12C there were 100,000 German frostbite casualties. Hitler had declared that the war in Russia would be over before winter clothing was required. Taking advantage of the cold and snow, the Russians successfully counterattacked. By the end of Nov 41 the Germans had suffered 743,000 casualties, including 8000 officer casualties, of whom 200,000 were dead. Fighting outside Moscow in Dec and Jan cost another 55,000 dead and 100,000 wounded. By early 1942 the Germans had suffered a million casualties in Russia. The German policy was, rather than reinforce depleted divisions, to create new ones. Thus by 1942 they had 179 divisions but manpower had dropped to 2.7 million. Stalingrad, winter 1942-1943, and its aftermath cost Germany and its allies 800,000 casualties. Stalingrad destroyed 13 infantry divisions, 3 Panzer Divisions, 3 motorised divisions….an estimated 91,000 men were still alive as prisoners but fewer than 6000 would return to Germany. The Russians lost 479,000 men killed in the Stalingrad campaign with another 651,000 sick or wounded casualties. This is the Russian PPSh sub machine gun. It was made in the simplest possible way with mainly pressed steel components. It worked perfectly at -30C. Clever design minimised barrel drift on auto. During 1942 the Russians produced 3 million. It had either a 30 round magazine or a 70 round drum magazine, as seen here, and a devastating rate of fire. It was absolutely ideal for the close quarter fighting in Stalingrad where whole units were issued with it. The German riflemen had only bolt action rifles and were severely disadvantaged. The Germans officially adopted this weapon and made their own ammunition for it. By mid-1943 the Germans were losing an average of 3000 men a day and demand was exceeding supply. Turnover was dramatic. Many divisions losing over 100%. For instance, 18 Panzer Division had 100% turnover in men and 173% in officers between 1941 and disbandment in in Oct 43. The SS “Grossdeutschland” Division suffered 100% turnover and 200% officers by Sep 44. In the three months from July to October 1943 the Germans lost 654,000 casualties but replacements numbered only 279,000. A nearly 60% deficit. By 1943 the 2.7million German soldiers were facing 6 million Russians. The attack at Kursk, Operation Citadel, was first discussed by the Germans in Apr 43. Security was lost almost immediately. By the time the attack was launched on 5 July 43 the Russians had spent three months fortifying their positions and preparing. The Germans were aware of this but, with a failure of command at the highest level, went ahead regardless. The attack involved sixteen Panzer and five Panzer Grenadier divisions with the best soldiers, officers and equipment and tanks that the Germans could muster. From the start, the Germans were involved in a disastrous battle of attrition. On 10 July 43 the Allies landed in Sicily and on 13 July Hitler ordered Citadel to be closed down so that II Panzer Corps could be sent to Italy and because of the German casualties. Never again would the Germans be able to take the offensive in Russia. It is estimated that the Germans lost half a million men killed, wounded, missing and captured at Kursk and in the aftermath when the Russians counter-attacked. It was all over….the Russians had defeated a fifty division German attack spearheaded by the best of their panzer troops. All surprise had been lost yet Hitler had persisted with the attack. Failure at Kursk was a decisive defeat. In ten days in July 43 the Panzer heart of the German Army was destroyed. From Kursk onwards the Germans would be on the defensive. The Germans executed some 15,000 of their own men on the Eastern Front. Tank figures are difficult to simplify but an example shows how the Russians massively out-produced the Germans: In July 1944 the German Tiger tank strength on all fronts was 670 (production peaked at 100 a month in May 44); the Panther was being produced at a few hundred each month. The Russians produced 15,700 T34 in 1943 alone plus thousands of their KV1 Heavy tank. Just over 2000 German tanks faced 12-15000 Russian tanks. Just over 6000 German field guns faced 33,000 Russian guns. Half the German infantry divisions had been reduced from nine battalions to six. Despite these odds, the German/Russian casualty ratio in mid-1943 was 1:4. But, in war of attrition the Germans were going to lose. D Day on 6 Jun 44 took nine Panzer/Panzer Grenadier Divisions to contain. There were only 22 Panzer and Panzer Grenadier Divisions left in the East. Army Group Centre had only two understrength Panzer Divisions. Average ration strength for infantry battalions was 300 men. Towards the end of 1943 the Russians introduced the JS2 Heavy tank. This tank, heavily armoured and with a 122mm gun, outclassed the Tiger in all areas. In contrast to the pathetic production figures for the Tiger the Russians produced the JS2 in huge quantities; equipping their Guards Armoured Divisions with the JS2 as assault divisions. : 52 tons, 160mm armour, 122mm gun. The Soviet offensive, Operation Bagration on 22 June 44 (neatly timed to follow D-Day), by four Army Groups with 2,715 heavy tanks and 24,000 guns caused Army Group Centre to collapse within days. At Minsk alone, 300,000 Germans were encircled and captured. In five weeks the Germans lost 900,000 men in 30 divisions. 57,000 captured Germans were paraded through Moscow. See this on YouTube. German total defeat in the East was now only a matter of time. By the end of 1944, the Germans had lost another 500,000 men in Normandy and 900,000 in the East. By 16 Jan 45 the Russians were on the River Oder only 44 miles from Berlin. Between Jan and May 45 some 5 million Germans fled their homes in the East. Some 1.39 of them remain officially unaccounted for. Dead. By spring 1945 the Germans had fewer than 2 million men left in the East. Three quarters of a million were trapped in “strongholds”. Army Group North with twenty understrength divisions and 203,000 men was trapped on the Kurland Peninsula on the Baltic. This Army Group had spent the War besieging Leningrad (St Petersburg) causing about a million, mainly civilian, deaths. The Germans defended Berlin with about a million rag bag troops including Hitler Youth, teenagers, and Volkssturm old men but the Russians attacked with 2 million veterans, 6000 tanks and about 40,000 guns, mortars and rocket launchers. Soviet Army war casualties are still debated. A Commission in 1989 reported military deaths numbering 8,668,400. A further 1.5 million soldiers who had surrendered to the Germans but survived were transported to the Gulag or labour battalions in Siberia as punishment for surrendering.. It is thought that some 20 million Russian civilians died. The German forces in the East had 8.19 million casualties: 1.8 million killed, 4.3 million wounded, 1.9 million missing. “Missing” in the Russian context means dead. After the War the NKVD said that c330,000 Germans had died in captivity but research indicates that the true number was in excess of one million. The Germans lost c4million men killed. Some 40% of German males born between 1920 and 1925 were dead or missing when the War ended. Eleven million were in POW camps and some in Russia would not return for twelve years. 14.16 million ethnic Germans were forced out of their homes in Eastern or central Europe. Hitler was a disaster for the German people. Our “Dad’s Army” view of the War is not shared by the Germans. It is thought that Stalin had some 20 million of his own people killed in the 1930s. He purged his own armed forces; executing, imprisoning or dismissing 36,671 officers including 403 officers of the rank of Brigadier and above, more than half his senior officers. In 1937 there were seven million people still alive in the Gulag. Between 1937 and 1941 he sent another 8 million to the Gulag. Death rates were up to 90%. Following the partition of Poland, between Russia and Germany, the Russians executed 15,031 Polish officers; mainly by a shot in the back of the head. As Poland mainly had a conscript Army the officers represented the “intelligentsia” and were therefore “class enemies” to be eradicated by the Communists. During the winter of 1941, Stalin relocated Russian industry, 1500 factories, to the Urals and Siberia, beyond German reach. Sixteen million people were sent with the factories to labour, day and night, like slaves, in atrocious conditions. This ruthless action enabled the Russians to totally out-produce the Germans in war material in 1942. In 1941 Hitler had not even put German industry on a war footing. Stalin’s brutal action was decisive in the long run. An example of the astonishingly rapid design, improvisation and production of effective weapons can be found in the story of the SU 152 on You Tube. The NKVD (secret police) were an “army” organised and equipped like an army. At Stalingrad the 10th NKVD Division patrolled the crossing points on the Volga; they shot some 13,500 Russian soldiers for treachery, cowardice, desertion, drunkenness and “anti-Soviet agitation”. The only extenuating cause for withdrawal was death! Hollow laughter while watching a contemporary news reel on YouTube. The commentator attributed the heroic defence of Stalingrad to the charismatic leadership of General Chuikov. At least 135,000 Russian soldiers were shot by their own side. A breach of “discipline” might result in consignment to a Penal Battalion. In 1943 there were 178,000 men in these battalions. They were used for “suicide” tasks such as human minesweeping or leading assaults. Only a spectacular act of bravery would win a reprieve. Failure would result in execution. Being taken prisoner might result in execution. As late as 1950, senior officers who had been captured during the war, were being executed. Wives and families of the captured were routinely shot or sent to the Gulag. Stalin sent his own daughter-in-law to the Gulag for two years when his son was captured. His son effectively committed suicide by stepping over the wire in his German POW camp. The Germans had defeated the Russians in 1917 and forced them to sign a humiliating treaty in which vast tracts of Western Russia were ceded to the Germans. In the 1930s Stalin had “purged” his officer corps. Killing tens of thousands. The Russian attack on the Finns had been a spectacular and humiliating failure. Hitler had achieved almost unimaginable success against Poles, the French, and the British, in his “blitzkrieg” offensives in 1940. He failed to mobilise Germany, and German industry, for total war. But, the hardship of the total war of 1914-18 on the civilian population had led, almost, to full-on revolution, the abdication of the Kaiser and the Armistice. Arguably, his really big mistake was to utterly underestimate the ruthlessness of Stalin. He said, before the invasion, “you have only to kick in the door and the whole rotten structure will come crashing down”. Hitler was able to continue to make mistakes because of his complete control of Germany. In 1933 he became Chancellor. In 1934, on the death of President Hindenburg, Hitler merged the office of President with that of Chancellor. As a result, on 2 August 1934, Hitler became simultaneously Head of State and Commander-in –Chief of its armed forces with unlimited powers. His NAZI Party governed all aspects of German society; with terror if necessary. The first occupants of the concentration camps were German Communists, Catholics and other “dissidents”. Where civil or military laws impeded him then he changed them or overruled them. After the assassination attempt of 20 July 1944, Hitler became almost insane. His cruelty knew no bounds. General Heinz Guderian was one of the few people in Germany and probably alone amongst the German officer Corps who stood up to him. If you think Kim Jong-un you will not be far wrong. In Aug 1941 he turned Army Group Centre away from Moscow towards the industrial, coal and oil areas of the Russian South; the Donets Basin, the Crimea and the oil of the Caucasus. He failed to appreciate that while, in Napoleon’s day, Moscow had been just another city it was now the transport hub, particularly the railway hub, of Russia. Having captured Kiev and hundreds of thousands of prisoners, the Germans turned their attention to Moscow on 30 Sep 41. But it was too late. The heavy autumn seasonal rain, the rasputitsa, began on 10 Oct and the already poor roads turned to deep, black mud. The frost gave, for a brief period, firm ground but in Dec temperatures plunged to an average of -12C in the day time and there was three foot of snow. On 20 Dec 41, Goebbels broadcast a pathetic appeal to the German people for warm clothing to send to the troops!! The cold caused widespread failure of German equipment ranging from locomotives to machine guns. Russian equipment had been designed to work in Russian winters and did so superbly. Zhukov brought up his 40 divisions from Siberia. These man, superbly equipped, clothed and trained for winter war caused the first mass surrenders amongst the Germans. Moscow was not captured and was never captured. Hitler’s failure to capture Moscow allowed Stalin to complete the move of his heavy armaments industry to the East. Arguably, Hitler’s decision to divert Army Group Centre ultimately cost him the War. In the euphoric atmosphere following the defeat of France, the German Chief of the Army General Staff calculated that Russia would be defeated in a campaign of eight to ten weeks duration. Most of the logistic vehicles were to be captured French vehicles, completely unsuitable, although captured British vehicles were also used. The Germans, being supremely confident, planned that winter clothing would only be required by 20% of the invasion force who would remain behind as an Army of Occupation. Sixty to eighty divisions would return to Germany before the winter. On 22 June 41, the Germans invaded Russia. There were three Army Groups; North, Centre and South. Army Groups North and South each had one Panzer Group but Army Group Centre had two; Panzer Groups 2 and 3. Panzer Group 2 was commanded by General Heinz Guderian[i] who was the “founder” of the Panzer Division concept, was hugely influential, knew Hitler well and had led a Panzer Corps of three divisions across the Meuse on 13 May 1940 and on to the English Channel by 21 May ; thus giving rise to the expression “blitzkrieg”. On 14 July German Army HQ (OKH) completed its first study of the strength and organisation of the troops that would be left behind in Russia as occupation troops. On 4 Aug, Hitler held a conference at Novy Borissov at the HQ of Army Group Centre. The Commander Army Group, Field Marshal Bock, and Guderian argued strongly that they should continue the advance on Moscow but Hitler remained unconvinced and seemed to favour a strike down into the Ukraine for economic reasons. Hitler was already behaving as though the war against Russia was won. The German tanks engines had suffered heavy wear as a result of the appalling dust. Hitler promised a completely inadequate 300 new engines for the whole of the Eastern Front. By 13 Aug, Guderian’s Panzer Group was only 180 miles from Moscow and astride the Moscow highway. His soldiers put up signs “TO MOSCOW”. On 23 Aug these orders reached Army Group Centre where at an Orders Group all the officers attending agreed that the new plans to change direction towards Kiev would definitely mean that a winter campaign was inevitable. The troops were already very tired, the Russian terrain had exacted a heavy toll on all vehicles and the supply situation was very difficult. It did not seem possible to carry out a campaign in the Ukraine and also, later, capture Moscow. The Army Group Commander, Field Marshal Bock, agreed that Guderian should fly to East Prussia to try to change Hitler’s mind. Guderian failed to change Hitler’s mind. He noticed “a spectacle with which I was later to become very familiar: all those present nodded in agreement with every sentence that Hitler uttered while I was left alone with my point of view”. Hitler completed his rebuttal of Guderian’s arguments with the words “my Generals know nothing about the economic aspects of war”. On 26 Sep the Russians around Kiev surrendered and 665,000 men were taken prisoner. On 6 Oct 41, the 4th Panzer Division was attacked by Russian T34 tanks and suffered heavily as the superiority of the T34 became apparent for the first time. The short barrelled 75mm gun of the Panzer IV proved to be largely ineffective against the T34. On 6-7 Oct 41 the first snow fell. All movement was held up by the snow. Orders were issued for the encirclement of Moscow. The scarce Russian roads rapidly disintegrated under military traffic, the Russians blew the bridges and laid minefields alongside the roads. ”The speed of advance was dependent less on the number of men than on the amount of petrol on hand”. Corduroy roads had to be built for miles on end. When winter clothing was asked for the Armies were told that they would receive it “in due course” and not to make “further unnecessary requests of this type”. There was no anti-freeze for engines. On 11 October, Guderian reported that “numerous Russian T34s went into action and inflicted heavy losses on the German tanks. Up to this time we had enjoyed tank superiority, but from now on the situation was reversed. The prospect of rapid, decisive victories was fading in consequence…I made a report..and sent it to Army Group: in this report I described in plain terms the superiority of the T34 to our Panzer IV..I also requested the rapid production of a heavy anti-tank gun with sufficient penetrating power to knock out the T34”. By 29 Oct the supply situation was such that even bread was not getting through to the German troops. On 7 Nov there were the first cases of severe frost bite. On 12 Nov 41, new orders were issued including objectives 250 miles East of Moscow. These Orders were described as “a complete fantasy”. The combat strength of the infantry had shrunk to an average of 50 men per company. By 14 Nov, German troops were taking every chance to seize Russian Army overcoats and fur hats. Brigades were down to only 50 tanks, and without the necessary salve telescopic sights were frosting over. In order to start the tank engines, fires had to be lit beneath them. On 17 Nov 41, the German troops in front of Moscow were attacked by the first of the Russian troops from Siberia. Each German Regiment had already lost an average of 500 men from frostbite, the cold had disabled the machine guns and the infantry 37mm anti-tank gun had proved ineffective against the T34.The infantry, without winter clothing, was almost incapable of movement. By the end of Nov 41, German casualties, dead, wounded, frostbitten, missing, sick had reached 743,000 or roughly 23% of their total strength of 3.5million men. On 30 Nov, Army Group South evacuated Rostov and withdrew. Hitler sacked its commander, Field Marshal von Rundstedt. By 2 Dec, Guderian reported that the strength of his troops was exhausted as was their supply of fuel. The situation was critical. On 5 Dec Guderian broke off his attacks and put his troops into defensive positions. They were pursued closely by the Russians. Temperatures were -68F. The whole German attack broke down. The Third Panzer Army had reached a point only 20 miles from the Kremlin. The remnants of their equipment was made to function only with great difficulty in the appalling cold. The poorly clad, half-starved men had no strength and clung to captured villages as their only hope of survival. From 13 Dec, the Russians began to infiltrate the German lines and there were the first instances of German formations being surrounded and destroyed. Guderian, in agreement with his Army Commander, Field Marshal Bock, ordered withdrawals. On 16 Dec, Guderian received a telephone call from Hitler forbidding withdrawals. On 20 Dec, Field Marshal Bock “reported sick” and was replaced. On 20 Dec, Guderian was again acting as an Army emissary to Hitler at the Fuhrer’s HQ explaining the condition of his troops and equipment, the impact of the extreme cold, and begging that the Army be allowed to withdraw to more defensible positions. Hitler would not listen and plainly regarded the description of conditions at the front as exaggerated. There were further German withdrawals and surrenders. On 26 Dec, Guderian was sacked. Guderian said “our attack on Moscow had broken down. All the sacrifices and endurance of our brave troops had been in vain. We had suffered a grievous defeat which was to be severely aggravated in the next few weeks thanks to the rigidity of the Supreme Command: despite all our reports those men, far away in East Prussia, could form no true concept of the real conditions of the winter war in which our troops were now engaged. This ignorance led to repeatedly exorbitant demands being placed on our troops”. By the summer of 1942 the Germans had regained the initiative. As they advanced in the South, Hitler decided that the city of Stalingrad was to be a key objective for political and prestige reasons. He wanted to capture or destroy “Stalin’s own City”. The first mistake was to allow the Luftwaffe to “terror bomb” the City and reduce it to rubble; incidentally killing an estimated 40,000 civilians in the first week. The shattered buildings and rubble-filled streets made an ideal killing-zone for defence. Worse, in a brutal hand-to-hand battle, room by room and even in the sewers, German training, communications, all arms cooperation and equipment was of no value. The stoic and brave Russian soldier could hold his own. If his patriotic feelings about “Mother Russia” faded then he had the NKVD behind him and certain death as a German prisoner in front. The deadly war of attrition in Stalingrad sucked in the German 6th Army. The City should have been by-passed, surrounded and isolated. During the summer of 1942, when Germany was producing about 500 tanks a month, General Halder had told Hitler that the Russians were producing 1500 a month. Hitler had slammed the table and said that it was simply not possible. Yet the Russians were actually producing 2,200 a month. The suggestion that the Russians, apparently deprived of their major industrial regions, could out-produce the Reich, filled Hitler with angry disbelief. The first major German attack on the City was made on 13 Sep. The City centre was defended by the Russian 62nd Army with 54,000 men, 900 guns and mortars and 110 tanks. This was no “dual between snipers”. This was a clash of the titans. During the fighting in September and October the 14th Panzer Corps was in defensive positions to the North of Stalingrad. Day after day, the Corps was subjected to Russian artillery bombardment and mass attacks by infantry and tanks. As his command was whittled away, General von Weitersheim reported that he would soon no longer be able to hold out and that in his view the troops in Stalingrad should be withdrawn to the west bank of the River Don. He was relieved of his command for “pessimism”. During Sep 42, General Halder, Chief of the German Army General Staff had bitter arguments with Hitler about the advisability of continuing the offensive at Stalingrad and the exposure of the flanks, manned by inferior troops. On 25 Sep, on Hitler’s orders he was replaced by General Zeitsler. Hitler, with his usual hubris, said “I replaced General Halder because he did not understand the spirit of my plans”. Stalingrad was at the tip of a 100 mile salient and supplied by a low capacity railway. In October 42, a decision was made to withdraw all 150,000 horses to save on the supply of fodder. This left the 6th Army without transport and its artillery immobile. The German soldiers had marched and fought over 2000 miles from the German border. The troops were clinically exhausted by “stress and short rations” with marked mortality amongst those aged 17 to 22. The German attacks in Stalingrad petered out at the end of Oct due to casualties, exhaustion and lack of ammunition. On 8th November Hitler made his famous speech at the Munich Burgerbraukeller in which he boasted of the imminent capture of Stalingrad. On 9th November winter arrived at Stalingrad with a temperature drop to minus 18C. By the middle of November, HQ 6th Army considered that 42% of its battalions were “fought out” with most infantry companies down to under 50 men. There had been heavy casualties in experienced officers and NCOs. The Panzer Corps had been ground down by the Stalingrad fighting and had fewer than 100 tanks left. Hitler had decreed that tank crews without tanks were to be fed into the fighting. The 6th Army had no mobile reserve and this was to prove decisive later. 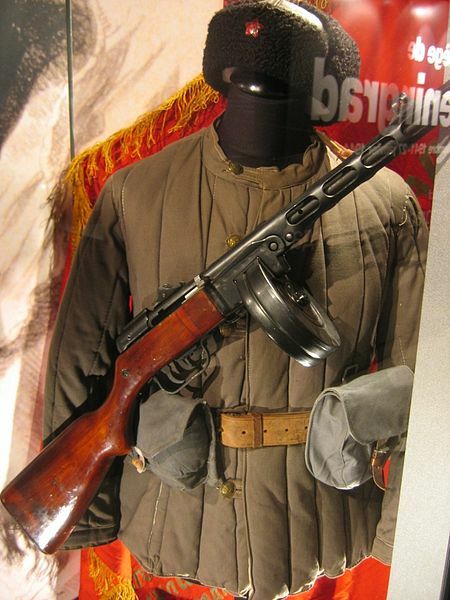 The flanks of the “Stalingrad salient” were held troops of the 3rd and 4th Romanian Armies with low fighting power due mainly to their archaic and inadequate weapons; their anti-tank weapons were virtually useless. On 19 Nov 42 Russian armies numbering over a million men and thousands of tanks attacked both sides of the salient and crushed the Romanians. There was no German panzer or mechanised reserve. There was a catastrophic shortage of fuel. As the situation deteriorated on 21 Nov the 6th Army received a “Fuhrer decision” stating “Sixth Army will stand firm in spite of danger of temporary encirclement”. On 22nd November the Russian spearheads met at Kalatsch and the Germans were cut off. The German generals immediately considered, but dismissed, the practicality of supplying the 6th Army by air. They knew also that any breakout without fuel or horses would leave all their heavy equipment and 10,000 wounded to the Russians. The wounded would die. Many of the German soldiers did not have their winter clothing which was at depots outside the perimeter. With the supply situation already critical it was imperative to make a go/no go breakout decision immediately while there was some petrol, some ammunition and the men had the strength. The decision was made by Hitler who on the advice of Goering stated that Stalingrad would be supplied by air. Goering knew that this was what Hitler wanted and acted against the advice of his staff. The 6th Army stated that their requirement was 700 tons a day but Goering told his staff it was 500 tons to which they replied that 350 tons would be the maximum possible but only for short periods. No allowance was made for bad weather, unserviceable aircraft or enemy action. The obese, drug-addicted, sexual deviant Reichsmarschall Goering thus condemned the 6th Army, and 290,000 men, to death. On 7 Dec rations were cut to between a half and one third as heavy snow began to fall. In this week only 512 tons of supplies arrived by air of which only 24 tons were food supplies. Losses of transport planes were heavy. Snow storms, icing, Russian fighter planes and Russian AA guns were only some of the problems on the 100 mile flight. Ground crew, many just transferred from North Africa, had no accommodation on the dark, mid-winter, frozen steppe and aircraft were in the open at temperatures down to -30C. There were difficulties even starting the engines. There was no overall direction or system and aircrews often risked their lives to deliver stores that were not actually needed. Belatedly, Field Marshall Milch was sent in mid Jan 43 and found a situation of utter chaos. The Germans were to lose over 500 aircraft and 1000 aircrew. The Germans attempted to relieve Stalingrad starting on 12 Dec but with only a total of c300 operational tanks in three Panzer divisions they made slow progress against the Russians. In twelve days they covered only 30 miles. From middle December, German soldiers started to die from starvation. On 19 Dec the Germans, in Stalingrad and in the relieving force, were about 40 miles apart and each could see the others flares. General Paulus in Stalingrad and FM Von Manstein conferred by secure teleprinter. Paulus, being afraid of Hitler, said he would only order a breakout if Manstein ordered him to do so. Manstein, being also afraid of Hitler, left the decision to Paulus. A Russian counter attack over-ran the re-supply airfields on 23 Dec and, in a classic Hitler intervention, he forbade the pilots to fly out until Russian shells were actually falling on the airfields. Eighty Ju52 were lost, all the ground equipment was lost, and the depots were destroyed by the Russians. On 25 Dec the temperature fell to minus 25C. Paulus signalled “if we do not receive increased rates of supply in the next few days we must expect a greatly increased death rate through exhaustion. “Exhaustion” was starvation. The Germans held some 3,500 Russian prisoners. They had received no food at all and the few survivors resorted to cannibalism. On 26 December, Paulus signalled “bloody losses, cold and insufficient supplies have reduced fighting strength of divisions severely”. By 30 Dec the relieving force, down to 30 tanks, had been driven back behind its start line. The Germans in Stalingrad, lacking petrol to even melt drinking water in the arctic conditions, became filthy and infested with lice which caused typhoid. Dysentery became rife and even Paulus was debilitated by it. Medicines and medical supplies were exhausted leaving 50,000 wounded men untreated. Seriously wounded were left to die of cold. On 6 Jan Paulus signalled “Army starving and frozen, have no ammunition and cannot move tanks any more”. Paulus rejected an offer to surrender on 9 Jan. On this day the official bread ration was reduced to 75gm a day; about one slice for men in arctic conditions. The Germans would have to face the Russians while weak from hunger and disease and with little ammunition. On 22 Jan the last aircraft took off from Stalingrad, carrying 19 wounded, and riddled with shot holes. The last airfield was over run. Paulus capitulated on 31 Jan. The remnants of the German XI Corps in the heart of Stalingrad, based in the tractor factory, held out until 2 Feb. The survivors finally being blasted by 300 guns and tanks at point-blank range. Small parties of Germans tried to escape and were seen by German aircraft but these men were swallowed up on the frozen steppe. The Russians treated the Germans as the Germans had treated them since 1941. The wounded were normally shot immediately or, possibly a worse fate, left to die. Fighting soldiers who attempted surrender, of which there were few, were shot. Chuikov said, with a classic half-truth, “we practically took no prisoners since the Nazis just wouldn’t surrender”. Ninety one thousand Germans, mainly support and logistic troops, were rounded up and taken away in long columns. These starving men, suffering from a multitude of illnesses but particularly typhoid and dysentery died quickly on “death marches” on the frozen steppe. Russian soldiers shot at the columns as had the Germans. By the spring half would be dead mainly of disease and malnutrition. Fewer than 6000 men would survive to return to Germany. See this on You Tube. Look at the “posters” held up by women searching for their men. Pictures of young men, in Wehrmacht uniforms, wearing badges and insignia and “last seen” at places which are already history from a different World. Hardly a German family was left untouched by Stalingrad. HQ and the entire command of Sixth Army. Headquarters of five Army Corps. Hitler had been a soldier on the Western Front in the Great War. He still wore his veteran’s “trench moustache” to remind people and he wore his Iron Cross. But he had no feeling of empathy with his soldiers. His treatment of them was ruthlessly harsh. He cared nothing for them whatsoever. They would have been shocked to know this. He controlled the war in Russia from his HQ in East Prussia 1200 miles away. His experiences at the front in the Great War coloured all his perceptions. He completely failed to understand the conditions of modern war and, particularly, the conditions in a Russian winter. On 25 December the German nation was treated to an entirely fake radio broadcast of a cheerful Christmas concert from Stalingrad “on the Volga”. The soldiers in Stalingrad heard this and knew that it was a deception. On 28 December, General Hube was ordered to fly out to East Prussia to receive his Knight’s Cross in person from the Fuhrer. Hube, a blunt one-armed veteran, was one of the few Generals the Fuhrer respected. He was armed with all the facts and figures to support the 6th Army’s desperate situation. When Hube flew back in to Stalingrad on 9 Jan he reported that the Fuhrer had simply failed to listen. Paulus thought that only a highly decorated young warrior would get the Fuhrers attention. Captain Winrich Behr, wearing a black panzer uniform with a Knights Cross at his neck, was selected. On 12 Jan, Behr flew out from the runway, already under fire from both mortars and artillery, in a Heinkel 111 filled with wounded while the Feldgendarmerie held back a mob of wounded, some crawling, with sub-machine guns. At the Fuhrers HQ, Behr held his nerve and would not be fobbed off by the Fuhrer’s platitudes despite the evident anger of the Fuhrers Staff. Hitler heard him out but Behr knew that he had failed. The Fuhrer lived in a fantasy world. The Fuhrer and his staff had evidently been shocked by the forcefulness and emaciated appearance of Behr. They certainly did not want soldiers like him returning to Germany to lower morale. On 13 Jan soldiers were told that they had one last chance to write home. Goebbels, fearing that these letters were “defeatist” had these letters destroyed. On 31 Jan Hitler cynically promoted General Paulus to Field Marshall. Both men knew that no German Field Marshall had ever surrendered. Paulus declined the implicit offer to kill himself. Following the surrender of the remnants of XI Corps on 2 Feb, Goebbels presented the disaster as an epic struggle “true to its oath of allegiance the Sixth Army under the exemplary leadership of Field Marshal Paulus has been annihilated by the overwhelming superiority of enemy numbers”. The official Nazi line was that all had fought to the death. Clearly, no mention was to be made of the Fuhrer’s gross military incompetence or the shambles of the air resupply. On 3 March the Nazi propaganda magazine Die Wehrmacht carried a colour painting on its cover depicting a determined band of German soldiers led by General Karl Strecker making a last stand, shoulder to shoulder, in the snow covered ruins of the tractor factory. They all look a picture of healthy, heroic, determination. Not the frost-bitten, starving, diseased shadows of men who did fight to the death. As the news reels of Paulus surrendering and columns of ragged Germans prisoners were shown around the World it was impossible to conceal the truth. The fact that Paulus was alive enraged Hitler and the evident survival, however temporary, of thousands of prisoners was an embarrassment. British Enigma had obtained the first information about possible German intentions in the third week of March 43. Redeployments of Panzer divisions and Luftwaffe Fliegerkorps had suggested that the aim was to bite out the Russian salient around Kursk at about the end of April 43. Further decrypts confirmed the Kursk salient as the objective. This information and a summary of the German strengths was passed to Moscow on 30 Apr. The Russians were also kept informed by their Lucy spy ring. Allegedly, dissident German officers working in Berlin used a Bavarian, Roessler, working for Swiss military intelligence to act as a conduit for high level military information in the fight against the NAZIs. Incredibly, they accomplished this by the simple expedient of equipping Roessler with a radio and an Enigma machine, and designating him as a German military station (call-signed RAHS). In this way they could openly transmit their information to him through normal channels. They were able to do this as Erich Fellgiebel (who was also part of the anti-Nazi conspiracy) was in charge of the German Defence Ministry’s communication centre, the Bendlerblock. This was possible, as those employed to encode the information were unaware of where it was going, while those transmitting the messages had no idea what was in them. This impeccable information from Berlin often reached Moscow in 6 to 10 hours. I say allegedly because like many intelligence stories there is much controversy about the facts. At the end of April 43, Russian Marshalls Zhukov and Vasilevsky were sent to Kursk by Stalin to control the battle. They quickly identified the schwerpunkt for the attacks in the North and the South. On 3 May 43, Hitler summoned a high–level conference at Munich to discuss the possibilities for offensive action against the Russians in 1943. Amongst those present were Guderian (now reinstated by Hitler as Inspector-General of Armoured Troops) and the commanders of Army Group Centre, FM Von Kluge, and Army Group South, FM von Manstein. The Chief of the Army General Staff, General Zeitsler, had proposed an attack on the big Russian salient West of Kursk. These plans had first been discussed in April. Zeitsler believed that by employing the new German Tiger and Panther tanks decisive success could be achieved. But, it was pointed out that the Russians were already preparing deep and strong defensive positions in the areas where the attack was proposed and had withdrawn their mobile forces in anticipation of exactly the pincer attack that the Germans were proposing. Guderian spoke strongly against the offensive; pointing out that after the losses of the winter the Panzer divisions were only just being reconstituted, an attack would cause heavy tank losses, an Allied invasion of France could be expected in 1944 and the new Panther tanks, on which so much faith was being put, were still suffering from many teething problems. Army opinion was divided on the issue and Hitler left the question open. On 10 May 43, Guderian was in Berlin and discussed Panther production with Hitler. He “seized Hitler’s hand and asked him if I might be allowed to speak frankly to him. He said I might and I urged him earnestly to give up an attack on the Eastern Front…why do you want to attack in the East at all this year?” Hitler’s reply was “you are quite right. Whenever I think of this attack my stomach turns over”. On 12 May 43 the Axis forces in Africa, numbering 248,000 Germans and Italians, surrendered at Tunis. The German public called this the “African Stalingrad”. In May 43 the Germans lost the Battle of the Atlantic. Thirty percent of the U Boats at sea were lost that month. Losses were unsustainable. Admiral Donitz was forced to withdraw all his U-Boats from the North Atlantic and report to Hitler. Hitler had a lot on his mind. On 14 May 43, updated Enigma information about Citadel was used to brief Churchill. This information was confirmed by SIGINT (R SIGNALS SIGINT teams had been deployed to intercept positions in Persia (Iran) overlooking southern Russia). On 21 May 43, the Head of the British Military Mission in Russia reported that the Russians would await a German attack in strong positions. Hitler had a child-like faith in technology, a constant desire to meddle, and a lack of understanding of the need to produce tanks in mass. These traits were evident in the planning for Kursk. As a result of his constant interference in the tank programme, the Germans had ended up with some 90 of the Porsche “Ferdinand”; a turretless monster self-propelled gun without, incredibly, machine guns for its own self- protection. Hitler insisted on sending them into battle. He also constantly delayed the battle so that a complete brigade of the new Panther tanks could be available. It is not clear when Hitler finally made up his mind to attack. In retrospect, one might say that in the summer of 1943 Hitler was at a loss as to what to do in Russia. The War was beginning to overwhelm him. The German Generals had become so used to, and afraid of, Hitler’s terrifying military dictatorship that if any of them had a fresh idea then they were afraid to put it forward. In the end, they decided to do “what they had always done in the summer” which was to pinch out a Russian salient and “round up” a few Russian armies and several hundred thousand men. “ Instead of seeking to create conditions in which manoeuvre would be possible by strategic withdrawals…the German Supreme Council could now think of nothing better than to fling our magnificent Panzer divisions against Kursk which had become the strongest fortress in the world”. On 15 June 43, Guderian told Hitler that the Panther tanks were not yet ready; the track suspension and drive were not right and the optics were not yet satisfactory. The date for the attack, Citadel, was to be 4 July 43. The Russians had spent three months preparing their defences. The Russians were experts at preparing defences: when they infiltrated the German front “the next morning, entire Russian units were to be found far behind our front line, complete with equipment and ammunition and well dug in”. The whole Kursk salient was turned into a fortress. They built lines of resistance, dug anti-tank ditches, dug-in tanks, and artillery, and studded the whole area with hundreds of thousands of mines. The Russians copied the German idea of the Pakfront whereby groups of up to ten anti-tank guns would have their fire co-ordinated by one commander for fire discipline and greater effect. The Russian numbers were staggering: The Voronezh Front at Kursk was reinforced with two Guards Armies and the First Armoured Army so that the front consisted of some 1.5million men. There was a reserve of five tank armies and assorted corps and infantry divisions. The Russians massed 20,000 guns and 3000 miles of trenches were dug. The attack was delivered by seventeen panzer divisions, three panzer grenadier and sixteen infantry divisions. These units had been reconstituted after the winter, were fully up to strength in personnel and equipment, and were the best that Germany had. The five SS Panzer divisions were particularly lavishly equipped and each had a brigade of the new Tiger tank. Once again, as at Stalingrad, the Germans threw away all their advantages in mobile tactics and met the Russians on ground of their own choosing. The Russians contested every inch of the painfully slow German advance. “The whole front was a girdle of flashes” recalled a Tiger tank radio operator “it seemed that we were driving into a ring of flame”. The Russian shelling was incessant and they threw in constant counter-attacks with masses of men and tanks. After ten days the eighty Panthers had been reduced to only a handful. The “Ferdinands” were death traps; in the first two days forty of the seventy were destroyed. German tank losses were described as “staggering”. The northern arm of the pincer only penetrated seven miles while Fourth Panzer Army had only penetrated twelve miles and the remaining “gap” was sixty miles! On 13 July 43, Hitler summoned FMs Kluge and von Manstein to Prussia and ordered that Citadel be called off immediately and that troops be sent to counter the Allied landings in Sicily. By 23 July the Germans had been pushed back to their start line. Citadel had been a complete failure. The Panzer divisions had been bled white. “The flower of the German Army had fallen at Kursk, where our troops attacked with a desperate determination to conquer or die”. The Russians lost 2000 tanks and nearly 2000 guns but they could afford losses on that scale. After Citadel the Russians always held the initiative. The Germans started the long retreat to Berlin. Any opportunity that they had was always squandered by Hitler’s orders that every inch of ground was to be held. Here is a map of post-1945 Germany. The Poles and Russians gained the former East Prussia. The Poles also gained German lands as far as the Oder-Niesse River Line. They had last held these lands in 1720. Millions of Germans had fled before the advancing Russian armies. The remainder were systematically expelled post-1945. Ethnic cleansing on a giant scale. It’s worth noting that this was nothing new to Stalin who moved the whole Tartar population of the Crimea to Siberia for collaborating with the Germans. The German policy in Russia was ethnic cleansing. They had planned to kill 30m Russians and they had almost succeeded. Their scorched earth policy during their retreats of 1944 and 1945 had turned Western Russia, European Russia, into a desert. FM Montgomery had command of the British Zone in 1945. He reported “The Russians were creating a desert in their Zone; anything of value was being sent to Russia…our reconnaissance parties… reported that the Germans in the area were living like beasts on whatever they could get and that starvation was already evident”. 40,000 German refugees were infiltrating into the British Zone weekly. Montgomery wrote to the British Government to tell them “we must decide whether we are going to feed the Germans or let them starve…it does not look at present as if we can increase the ration beyond the present rate of 1042 calories; this means that we are going to let them starve: gradually.” The daily calories required for an adult in sedentary work are c2000. The British Zone contained the largest part of the German population, now swollen by millions of refugees, its major cities, and the Ruhr industrial area. Food for the British people had been rationed since 1939. There was, naturally, not a lot of sympathy for the Germans. The British Government did not let the Germans starve. They created the framework for the amazing post-War German economic success: the German “economic miracle” as it was called. When I was posted to Germany in 1969 I left behind a shabby, decrepit, socialist Britain. I was truly astonished by the wealth and affluence of the Germans. There was literally no trace of the War. Every town and city had been rebuilt. The train from Hannover to Lippstadt to join my unit was luxurious compared to British Rail. Every house seemed to have two cars; his and hers. The supermarkets were a wonder. On exercise, in the grounds of a large house being used as Divisional HQ, among the trees I came across a glade with five “graves” with headstones. There were, in fact, no bodies. The men had been lost in Russia. Damn, I should have spell checked my comment before posting. It should of course be “that have now been busted by more recent research”. Spotted some myths, did you? Hmmmmm. Well, to be honest, given the length of the text, I did not spot that many problems. But there were a few, like for instance the myth about the “40 Siberian divisions”, which the article I linked to dispels. If you like alternative history then Suvarov’s “Chief Culprit” is a very interesting book. I bring it up because in the above it is mentioned how well the Soviets defended at Kursk. In the book the author lays out in great detail how the Soviets were arranged in June of 41. His conclusion is that the Soviets were arranged in prep for an invasion to “liberate” Western Europe. They were to attack in the South, cross the necessary rivers then drive north and conquer Germany and inherit occupied France. There are two other, highly ironic, reasons why the war in the east went badly. The first is the 88mm Flak gun. There were thousands of them protecting German cities from allied bombers, but neither the bombers nor the AA guns were actually putting a dent in anything. German manufacturing wasn’t crippled by the bombers, and the bombing attacks weren’t being stopped by the AA guns. Some in the German high command wanted to pull them off AA duty and send them to the eastern front where they’d be far more useful, but nobody wanted to bring the idea up because it was politically unpopular. The one that takes the cake, though, is the railroads. The Germans accurately predicted before the war that truck companies were efficient at resupply within 200 miles. Beyond that, only railroads were viable. Hitler loved cars and wanted to motorize Germany, but rubber and oil are nowhere to be found in Germany. So the guy who promised to make the trains run on time ended up cutting a lot of the railroads’ budget in order to buy materials for cars, at a loss. When the invasion of Russia was planned, there were railroad companies (Eisentruppen) tasked to converting Russian rails into German gauges and laying double track where necessary (Russian track was largely single-tracked). But the shoestring budget of Operation Barbarossa meant they kept getting reassigned to other tasks, and didn’t do either of their primary tasks. So all of Germany’s supplies (including food and winter uniforms) stayed at the depots far in the rear. The Germans sometimes used Soviet POWs as porters and unloaders for the trains because they simply didn’t have the manpower to do it themselves (source: ‘Supplying War’ by Martin van Creveld, 1977). As I read this, I couldn’t help but think of how my own government now resembles this Nazi German one. Common sense and reality replaced with political correctness and wishful thinking. The key question in my mind is, if the Russians were so all-powerful as this description implies, why didn’t they simply just keep coming west at the time? Was the fear of the atom bomb the only reason Stalin stopped? How would the Russians and the allies have fared, head-to-head at that time? I guess Stalin could settle for half of Europe. I too was in Germany from 1965-68. It was truly amazing how quickly the Germans re-built Western Germany, and how fucked up Eastern Germany still was. Looking back on it now, was it a mistake for the Russians to hesitate in 1945? In hindsight, it looks like the were ultimately unable to keep up with the cold war arms race, which eventually bankrupted their regime. So it would appear we have an uncomfortable stalemate. The Russians historically are extremely difficult to invade, but at the same time, have proven unable to build another military capable of expansion. But to the OP, in a war between two tyrants, bet on the one who truly understands logistics and/or the most ruthless one. The Russians had tried to push to the Atlantic in 1920, but Poland routed them, just as Finland would humiliate them twenty years later in the Winter War. Russia learned the hard way that it wasn’t invincible, and relied heavily on the West for logistical support. Had the USSR continued and sought war with the Western Allies, it did risk the Atomic bombs landing on Moscow, but would also lose its steady supply of American/British Lend-Lease equipment. And they risked the British supporting the hundreds of anticommunist rebel groups that fought both German and Russian for years. Trying to fight a 3+ modern, motorized armies while simultaneously battling an insurgency backed by these nations, not to mention being utterly outclassed in the air? Far too risky. These essays have quite a bit of astute military observations on actions of small unit infantry combat between Russian and German solders. Weather and the fighting character and resourcefulness of Russian solders is predominate. Pretty good stuff here. This last link I believe is a must read. I found it a seminal work on the will to win regardless of the odds and obstacles, the Mulihadeen’s ideology notwithstanding. Hearts and minds, as important as beans and bullets.